A Southern Gothic thriller about a teenager searching for her lost sister in the Appalachian Mountains, where she encounters a snake-handling religious cult and eventually learns the truth about her sister's fate. After spending several years exploring more contemporary genres, director Mario Bava (Black Sunday) returned with Baron Blood to the gothic as a setting for a gruesome thriller. Working with producer Alfredo Leone, Bava crafted a film that is loyal to the bylaws of traditional horror, but is infused with a more modern visual style. Mary Pickford is known today as the first film actress to achieve international super stardom. Funny, feisty and diminutive, she was also the first actor to have complete artistic control of her films. And because Pickford chose to work with the best directors, writers, craftsmen and editors, what incredible films they are. These three titles, newly mastered with full orchestral scores, demonstrate the star's commitment to excellence and the brilliant range of her acting. Featuring Sparrows, The Poor Little Rich Girl and The Hoodlum. Mary Pickford is known today as the first film actress to achieve international super stardom. Funny, feisty and diminutive, she was also the first actor to have complete artistic control of her films. And because Pickford chose to work with the best directors, writers, craftsmen and editors, what incredible films they are. These three titles, newly mastered with full orchestral scores, demonstrate the star's commitment to excellence and the brilliant range of her acting. In 1980 Hammer took over the old Hampden Manor House in the heartland of England and produced a series of thirteen horror stories to air on British television. 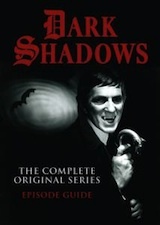 With a host of Hammer regulars, including Peter Cushing and Denholm Elliott, classic thespians including Brian Cox, Patricia Quinn, Georgina Hale, Diana Dors and Kathryn Leigh Scott, along with early appearances by actors like Pierce Brosnan, each episode provides a completely new and individual tale of terror and suspense. Packed with un-rated bonus features, the Blu-ray release includes a fang-in-cheek mockumentary Peter Vincent: Swim Inside My Mind, a hilarious satirical look at David Tennant's egocentric rock star anti-hero character, Peter Vincent; The Official How to Make a Funny Vampire Movie Guide; Squid Man: Extended and Uncut; Frightful Facts & Terrifying Trivia; Deleted Scenes; and a Gag Reel. Also included is the uncensored No One Believes Me music video directed by Fright Night's director Craig Gillespie and performed by hip hop recording artist Kid Cudi.